UNITED STATES 1960s: Hand puts spark plug body into machine. Man measures spark plug. Crosscut of spark plug body. 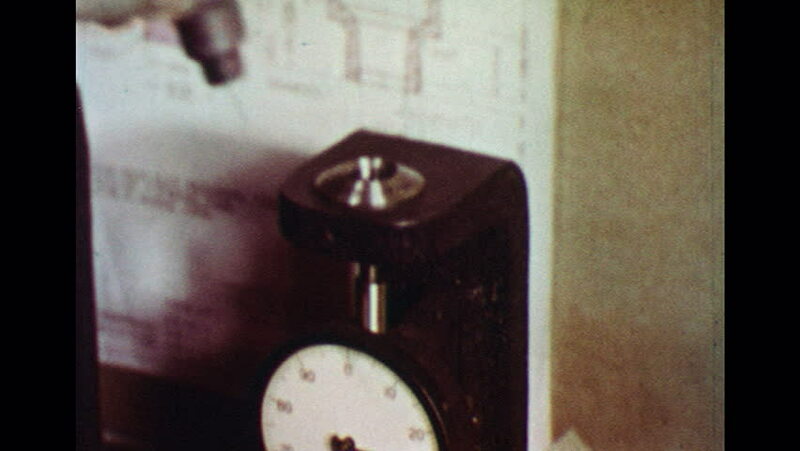 hd00:211950s: Thermometers on table and in glass. Animation. Dots move around. Glass appears. hd00:25UNITED STATES 1970s: Man Enters Office as Colleague Speaks with him. Man in Hard Hat Sits on Desk and Nods Head. Man Picks up File from Top of Filing Cabinet. Man Sits at Office Desk and Writes.